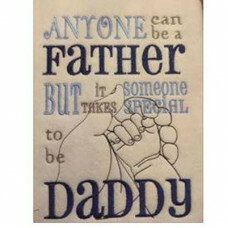 Anyone can be a Father word art design.5 x 7 hoop required.The zip will contain files of the followi..
Buy both the Awesome Dad and Awesome Daddy designs together and receive 33% discountAwesome Dad word..
Buy both the Awesome Dad and Awesome Daddy designs together and receive 33% discount5 x 7 hoop requi.. 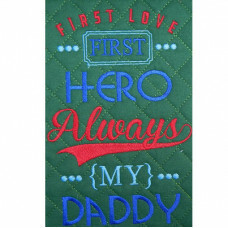 Better Than Dad word art.5 x 7 hoop required.The zip will contain files of the following formats:&nb..
5 x 7 hoop requiredThe zip will contain files of the following formats: DST, EXP, HUS, JEF, PES.. 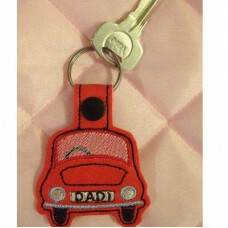 These key tabs are made using vinyl or felt – a kam snap is used to fasten them 4 x 4 hoop req.. 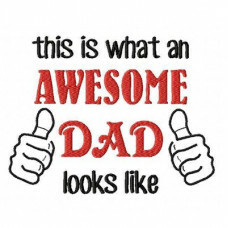 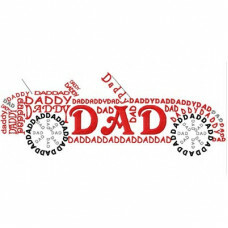 When you want to say how much you love your DAD– this wordart says it all5 x 7, 6 x 10, 7 x 12 and ..
5 x 7 designs for remote control and bar of chocolate plus wording The two designs sid..
Daddy Sports car word art This design is for the 6 x 10 (160 x 260) hoopThe zip will co..
Daddy Tractor word art 5 x 7 hoop requiredThe zip will contain files of the following f.. 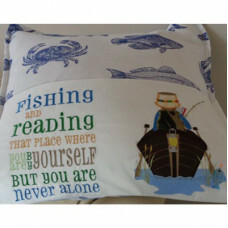 This wordart design is 5 x 7 hoop size The zip will contain files of the following formats: DST..
Reading fisherman and verse set Part applique part embroidery design and embroidered verse .. 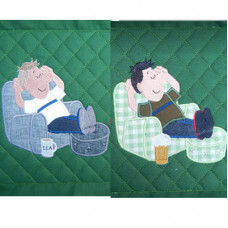 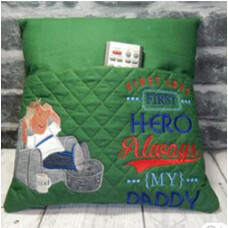 There are two versions of Relaxing Dad included in this design set – one with a mug of tea and the ..